Norwegian Air Shuttle's 737 Max made an emergency landing Dec. 14 in Shiraz after developing engine problems while en route from Dubai to Oslo. The plane has been grounded ever since as Norwegian, Boeing and others navigate through the U.S. sanctions on Iran. To Iranians, Shiraz is known as the city of poetry and roses. To Norwegian Air Shuttle, it has become the focus of a two-month battle to retrieve a Boeing jet that’s been trapped in the net of U.S. sanctions. The 737 Max aircraft made an emergency landing Dec. 14 in Shiraz after developing engine problems while en route from Dubai to Oslo. Passengers were flown out the next day, but the stricken plane has been grounded in the ancient city at the foot of Iran’s Zagros mountains ever since. On Wednesday, Norwegian said it was finally in the process of sending a replacement engine after weeks of frustration. The Scandinavian discount carrier’s experience provides an insight into the morass of legal wrangling and bureaucracy that can ensue when a company becomes entangled, however inadvertently, in international power politics. The sanctions on Iran, reinstated by President Donald Trump last year, ban the sale of a range of products with at least 10 percent U.S. content, aircraft parts included. The restrictions left Norwegian scrambling to secure clearance to obtain spares, while all the time losing revenue from the grounded jet and likely paying to keep it stationed at the Iranian airport. The airline, which has been struggling with a cash crunch after a period of over-rapid growth, found itself seeking help from the U.S. Treasury’s Office of Foreign Asset Control in the middle of the federal government shutdown. 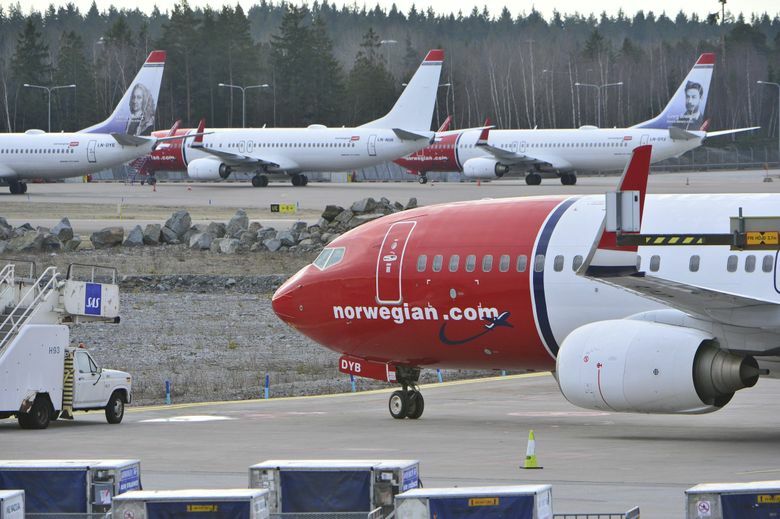 Norwegian’s headache finally eased when Boeing received a license from OFAC “to assist with the repair of the Norwegian 737,” Gordon Johndroe, a spokesman for the Chicago-based company, said by phone. General Electric Co., the U.S. partner in engine maker CFM International, will also have needed to obtain permission to ship the replacement power plant. –With assistance from Bloomberg’s Julie Johnsson.